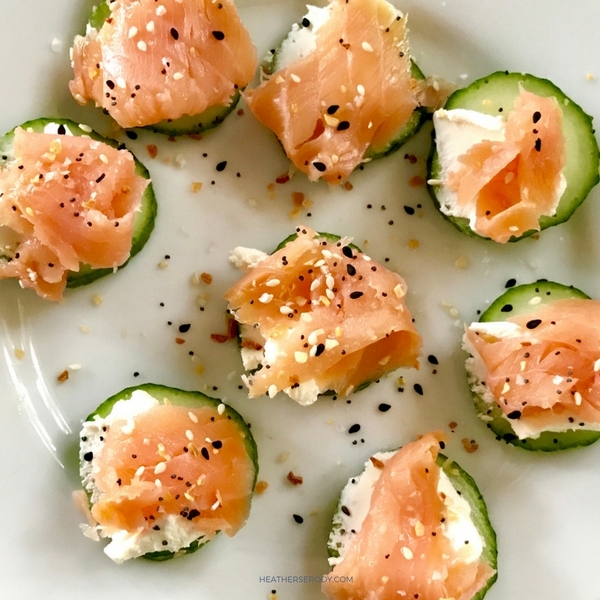 Now I just put about a teaspoon or so of cream cheese on top of a cucumber slice, add a bit of smoked salmon & sprinkle with everything but the bagel sesame topping (you can also make your own.). 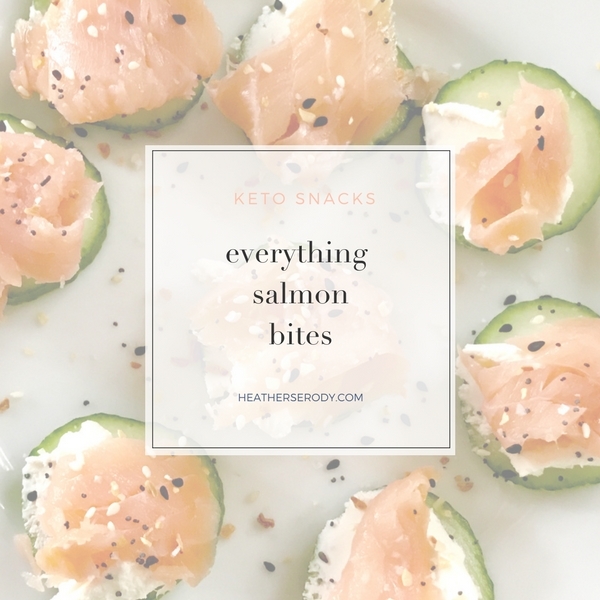 It's delicious, crunchy, perfectly keto & so simple to make. I promise you won't ever miss the bagel, especially when you don't have that carb crash an hour after eating it! 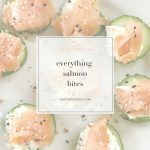 You can even make them into finger sandwiches by adding an additional top layer of cucumber and slicing them a little thinner.